Time to use header bars in Unity? My employer, Igalia, recently purchased a Gazelle Pro from System76 for me to use. So far, it seems like a great laptop, but time will tell. 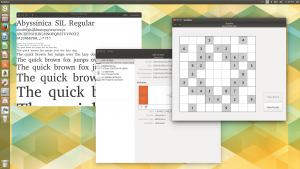 It came with Ubuntu 15.04 preinstalled, so before replacing that with Fedora Workstation, I decided to check out how some of our applications look under Ambiance, the GTK+ theme that Ubuntu uses instead of Adwaita. For the most part, Ambiance looks great. The overlay scrollbars leave much to be desired compared to upstream’s, but that’s my only real complaint. I found that Ambiance makes better use of space in general, using much less padding than Adwaita to fit significantly more content into application windows. (This is the reason behind complaints that “everything is bigger” in GNOME.) On the whole, that seems like a big advantage over Adwaita to me, though I’m concerned that might make it harder to use a touchscreen. But I found some of the applications I maintain did not look so great, due to no fault of Ambiance, but to some non-ideal use of GtkHeaderBar. When we started using GtkHeaderBars to replace system title bars a couple years ago, many GTK+ themes needed some time to catch up, as they were suddenly responsible for themeing title bars to look similar to the window manager’s title bars. One disadvantage of this is that it’s no longer possible to mix-and-match GTK+ themes with different window manager themes and get a good result, but if the GTK+ theme matches the window manager’s theme, there is no problem. This approach worked well enough for us with most distributions, but Ubuntu, rather than improving their theme (which is not easy work, to be sure) and using the provided settings to put the proper window decorations in the right place, started patching our applications to set the header bars as the title bars only in GNOME. These patches took various forms: in some cases, like Calculator, the header bar was removed and its contents replaced with a menu bar (a strategy I dislike: we’ve been getting rid of menu bars because they are difficult to use), but generally the header bar was kept and simply packed underneath the title bar, instead of replacing the title bar. Since this made things worse in environments with updated themes that used the new window decoration settings, I decided to start accepting these patches upstream (in most cases), but tweaked so that the header bar would be used as the title bar in all desktops except Unity, rather than only in GNOME. Disks and Sudoku pack header bars underneath the title bar when running in Unity. Font Viewer sets the header bar as the title bar unconditionally. Which looks better? Seems to me that Font Viewer is looking much nicer than Disks and Sudoku. Sudoku is also suffering from redundancy, since the application title is included in both the title bar and the header bar. That’s fixable, but since this is a non-default configuration that developers never test, similar problems are just going to return. So my inclination is to drop our special handling of Unity. Ubuntu might patch it back in — it is free software, after all — but maybe not, and in any case I’d feel better about the code we have upstream. Which approach looks better to you? What does this do? It expands to __attribute__((__const__)) if the compiler is GCC (or a compiler that pretends to be GCC, like Clang); otherwise, it expands to nothing. What does that attribute do? I could point you at the GCC documentation, but GLib’s documentation is simpler: “Declaring a function as const enables better optimization of calls to the function. A const function doesn’t examine any values except its parameters, and has no effects except its return value.” That’s really all there is to it. What’s important to keep in mind is that if your function doesn’t meet the preconditions for the attribute, the compiler is free to make optimizations that break your code. The first thing you should notice is that it examines a value (type) that’s not a parameter. Next, you should notice that it has an effect other than its return value: it modifies type, and then registers with the type system. Obviously G_GNUC_CONST is not appropriate here. Fix your headers. Update: If you scroll down to the first comment below, Giovanni recommends using G_GNUC_CONST anyway and also g_type_ensure as a workaround for if you don’t use the return value of the function. Note that the new, highly-recommendable G_DECLARE_FINAL_TYPE and G_DECLARE_DERIVABLE_TYPE macros declare this function for you, so future code should be immune to this problem. Update: Those macros do not use G_GNUC_CONST, but maybe they will in the future? Who can say! P.S. I’m not the one who noticed this — it was brought up by somebody (Christian?) at the Boston Summit last year — but I don’t think anybody has blogged about it yet. Update: It was pointed out in the comments that this was noticed long ago. Here’s a GLib bug report about breakage in Glade, and my colleague Andy Wingo has a blog post about a GStreamer bug this caused. !gnomebugs — Runs a search on GNOME Bugzilla. Especially useful followed by a bug number. For example, search for ‘!gnomebugs 100000’ and see what you get. !wkb — Same thing for WebKit Bugzilla. There’s 6388 more, but those are the three I can remember. If you work on GNOME or WebKit, these are super convenient. I’ve laid out some informal thoughts on where we should be heading with regards to new security and privacy features in Epiphany. It’s in the form of a list of features we really ought to have. (That is, it’s a wishlist.) Most of these features would be implemented in WebKitGTK+, so other applications using WebKitGTK+ would benefit as well. There’s certainly no shortage of work to be done, so except for a couple items on the list, this is not a list of things you should expect to be implemented soon. Comments welcome on the wiki or on this blog. Volunteers especially welcome! Most of these tasks on the list would make for great GSoC projects (but I’m not accepting more applicants this year: prospective students should find another mentor who’s interested in one of the tasks). The list will also be used to help assign one or more bounties using some of the money we raised in our 2013 security and privacy campaign. It’s already been a few weeks since the release of GNOME Web 3.14, so it’s a bit late to blog about the changes it brings, but better late than never. Unlike 3.12, this release doesn’t contain big user interface changes, so the value of the upgrade may not be as immediately clear as it was for 3.12. But this release is still a big step forward: the focus this cycle has just been on polish and safety instead of UI changes. Let’s take a look at some of the improvements since 3.12.1. The most important changes help keep you safer when browsing the web. 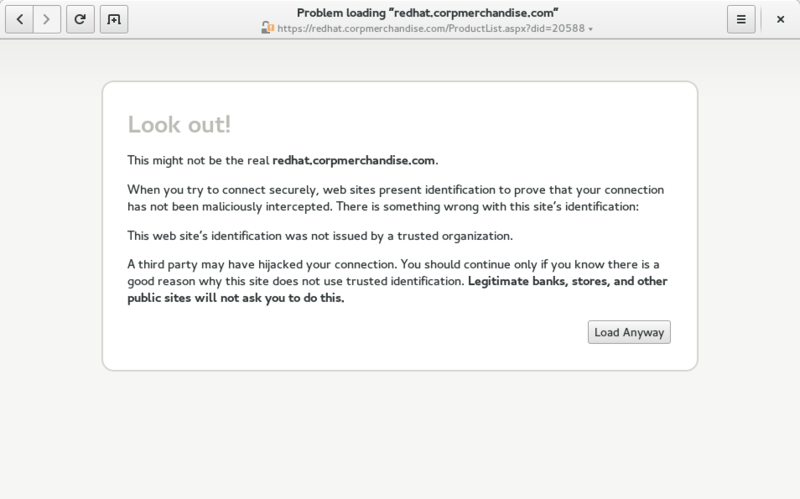 Safety team members will note that this will obviously break sites with self-signed certificates, and is incompatible with a trust-on-first-use approach to certificate validation. As much as I agree that the certificate authority system is broken and provides only a moderate security guarantee, I’m also very skeptical of trust-on-first-use. We can certainly discuss this further, but it seemed best to start off with an approach similar to what major browsers already do. The Load Anyway button is non-ideal, since many users will just click it, but this provides good protection for anyone who doesn’t. So, why don’t we get rid of that Load Anyway button? 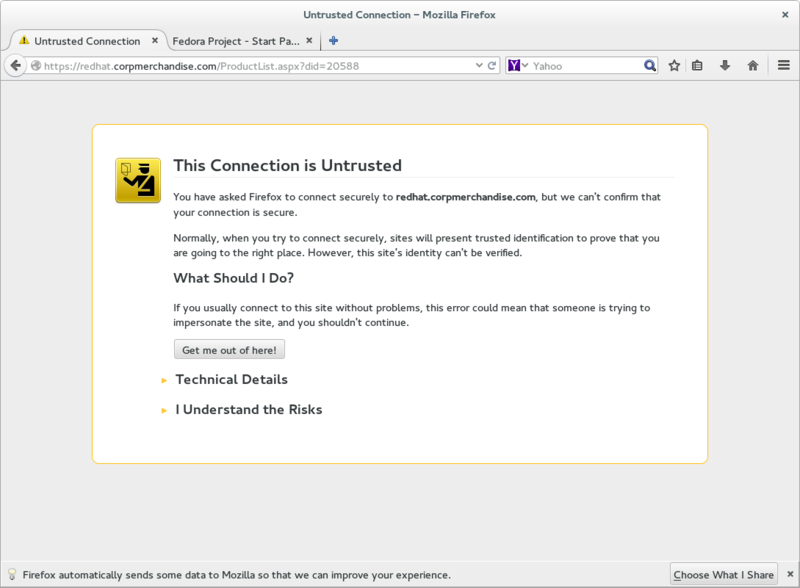 Well, different browsers have different strategies for validating TLS certificates (a good topic for a future blog post), which is why Web sometimes claims a connection is insecure even though Firefox loads the page fine. If you think this may be the case, and you don’t care about the security of your connection (including any passwords you use on the site), then go ahead and click the button. Needless to say, don’t do this if you’re using somebody else’s Wi-Fi access point, or on an email or banking or shopping site… when you use this button, the address in the address bar does not matter: there’s no telling who you’re really connected to. And if you’re a distributor, please read this mail to learn how not to break TLS verification in your distribution. I’m looking at you, Debian and derivatives. With glib-networking 2.42, corresponding to GNOME 3.14, Web will now accept certificate chains when the certificates are sent out of order. Sites that do this are basically broken, but all major browsers nevertheless support unordered chains. Sending certificates out of order is a harmless configuration mistake, not a security flaw, so the only harm in accepting unordered certificates is that this makes sites even less likely than before to notice their configuration mistake, harming TLS clients that don’t permute the certificates. This change should greatly reduce the number of TLS verification failures you experience when using Web. Unfortunately, there are still too many differences in how certificate verification is performed for me to be comfortable with removing the Load Anyway button, but that is definitely the long-term goal. WebKitGTK+ 2.6.1 plugs a serious HTTP authentication vulnerability. Previously, when a secure web page would require a password before the user could load the page, Web would not validate the page’s TLS certificate until after prompting the user for a password and sending it to the server. If a secure (HTTPS) web page displays insecure content (usually an image or video) or executes an insecure script, Web now displays a warning icon instead of a lock icon. This means that the lock icon now indicates that your connection is completely private, with the exception that a passive adversary can always know the web site that you are visiting (but not which page you are visiting on the site). If the warning icon is displayed, then an adversary can compromise some (and possibly all) of the page, and has also learned something that might reveal which page of the site you are visiting, or the contents of the page. The screenshot is leaked to an attacker, revealing that you’re on the home page. Click for full size. The focus on safety will continue to drive the development of Web 3.16. Most major browsers, with the notable exception of Safari, take mixed content detection one step further by actively blocking some more dangerous forms of insecure content, such as scripts, on secure pages, and we certainly intend to do so as well. We’re also looking into support for strict transport security (HSTS), to ensure that your connection to HSTS-enabled sites is safe even if you tried to connect via HTTP instead of HTTPS. This is what you normally do when you type an address into the address bar. Many sites will redirect you from an HTTP URL to an HTTPS URL, but an attacker isn’t going to do this kindness for you. Since all HTTP pages are insecure, you get no security warning. This problem is thwarted by strict transport security. We’re currently hoping to have both mixed content blocking and strict transport security complete in time for 3.16. Of course, security hasn’t been the only thing we’ve been working on. 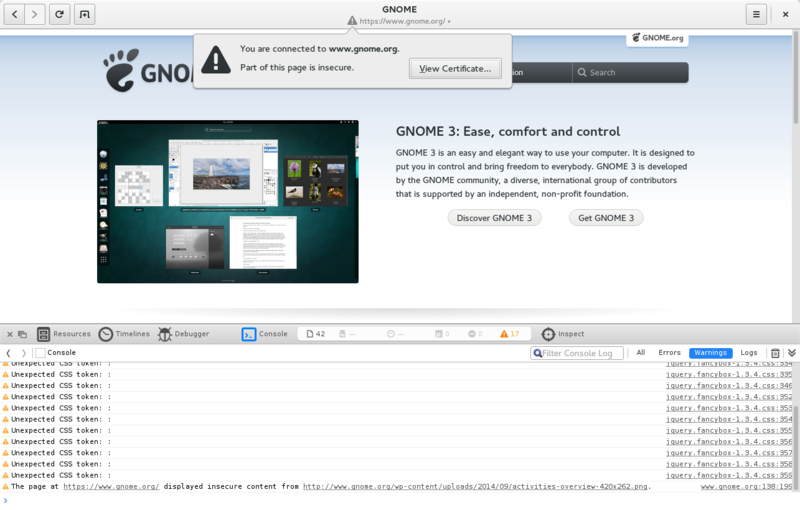 The most noticeable user experience change is not actually a change in Web at all, but in GNOME Document Viewer 3.14. The new Document Viewer browser plugin allows you to read PDFs in Web without having to download the file and open it in Document Viewer. (This is similar to the proprietary Adobe Reader browser plugin.) 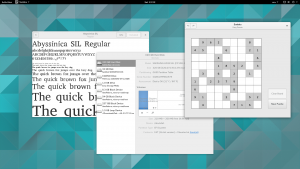 This is made possible by new support in WebKitGTK+ 2.6 for GTK+ 3 browser plugins. The refresh button has been moved from the address bar and is now next to the new tab button, where it’s always accessible. Previously, you would need to click to show the address bar before the refresh button would appear. 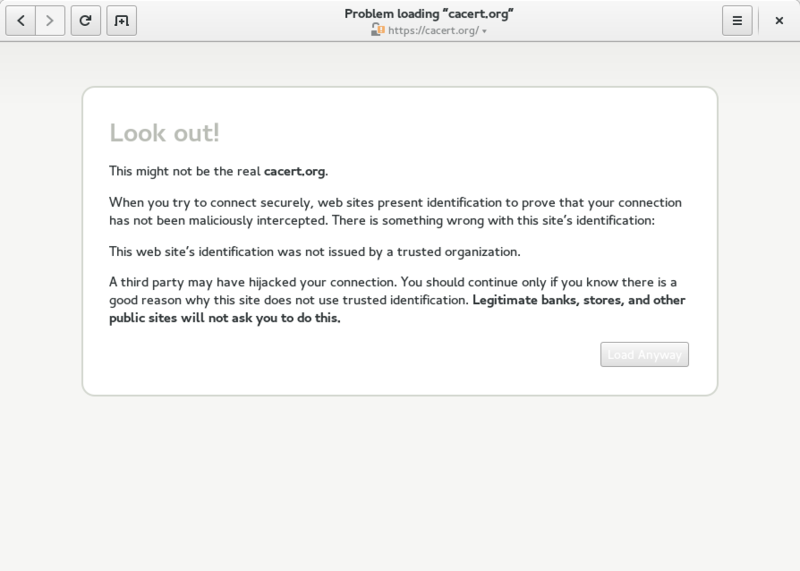 The lock icon now opens a little popover to display the security status of the web page, instead of directly presenting the confusing certificate dialog. You can also now click the lock when the title of the page is displayed, without needing to switch to the address bar. 3.14 also contains some notable bugfixes that will improve your browsing experience. We (probably!) fixed a bug that caused pages to disappear from history after the browser was closed. We fixed a bug in Web’s aggressive removal of tracking parameters from URLs when the do not track preference is enabled (it’s off by default), which caused compatibility issues with some web sites. We fixed a bug that caused Web to sometimes not offer to remember passwords. These issues have all been backported to our 3.12 branch, but were never released. We’ll need to consider making more frequent stable releases, to ensure that bugfixes reach users more quickly in the future. There are new context menu entries when right-clicking on an HTML video. Notably, this adds the ability to easily download a copy of the video for watching it offline. Better web app support. Recent changes in 3.14.1 make it much harder for a web app to escape application mode, and ensure that links to other sites open in the default browser when in application mode. Plus a host of smaller improvements: The subtitle of the header bar now changes at the same time as the title, and the URL in the address bar will now always match the current page when you switch to address bar mode. Opening multiple links in quick succession from an external application is now completely reliable (with WebKitGTK+ 2.6.1); previously, some pages would load twice or not at all. The search provider now exits one minute after you search for something in the GNOME Shell overview, rather than staying alive forever. The new history dialog that was added in 3.12 now allows you to sort history by title and URL, not just date. The image buttons in the new cookies, history, and passwords dialogs now have explanitory tooltips. Saving an image, video, or web page over top of an existing file now works properly (with Web 3.14.1). And of course there are also a few memory usage and crash fixes. As always, the best place to send feedback is <epiphany-list@gnome.org>, or Bugzilla if you’ve found a bug. Comments on this post work too. Happy browsing!